This would be my penultimate day and I was unsure where I would finish up. I’d let the feet decide again. 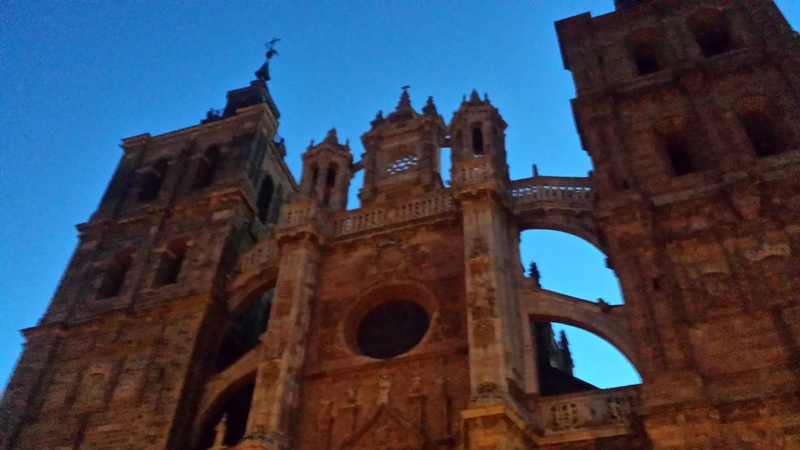 Two days from now I was due to catch a bus from Ponferrada to Santiago and fly home to Dublin afterwards. 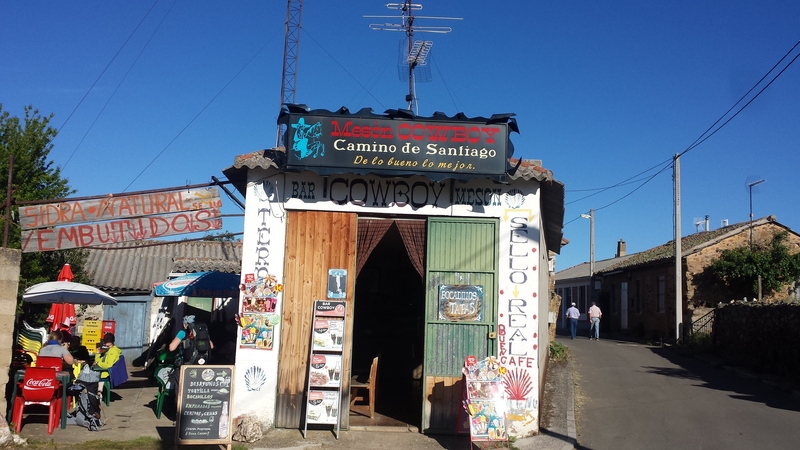 There was much internal debating whether I should travel to Santiago this year but as long as I avoided the main town I would be happy enough. 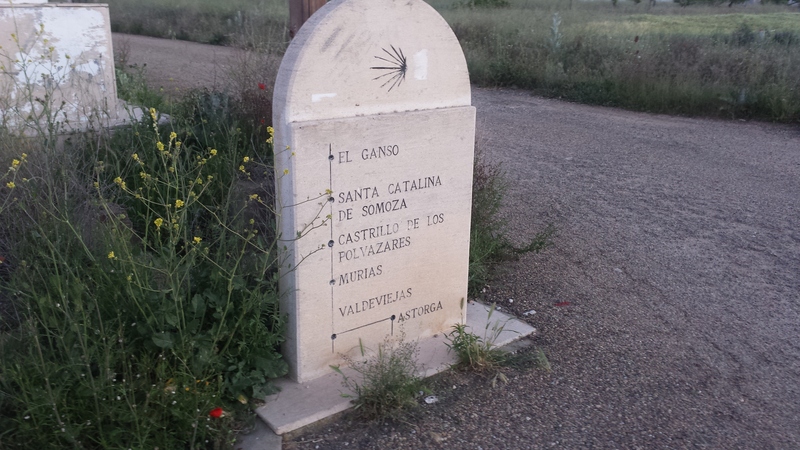 Today, however, I was aiming for either Rabanal del Camino or Foncebadon. I had walked this route in 2012 and was familiar with it. 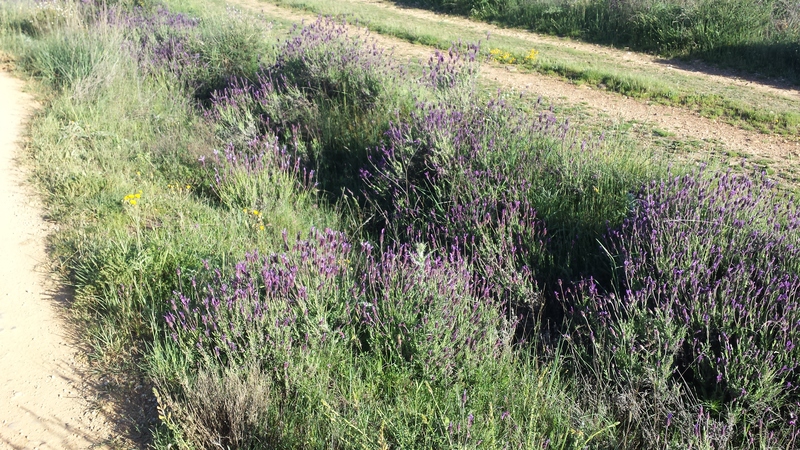 On leaving Astorga, the trail starts to rise gently and there is a nice climb into Rabanal however, there is nothing to get overly concerned about. 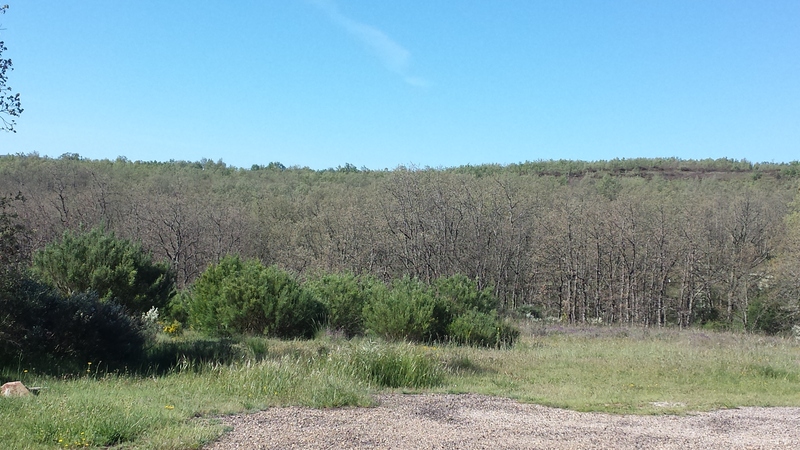 I left Astorga in the dark once again..not a cloud in the sky. It was a great advertisement for walking early as the stars were still visible. It doesn’t take too long to leave Astorga, maybe half an hour, and I was eager to stop for my first breakfast of the day. Santa Catalina wasn’t too far away. 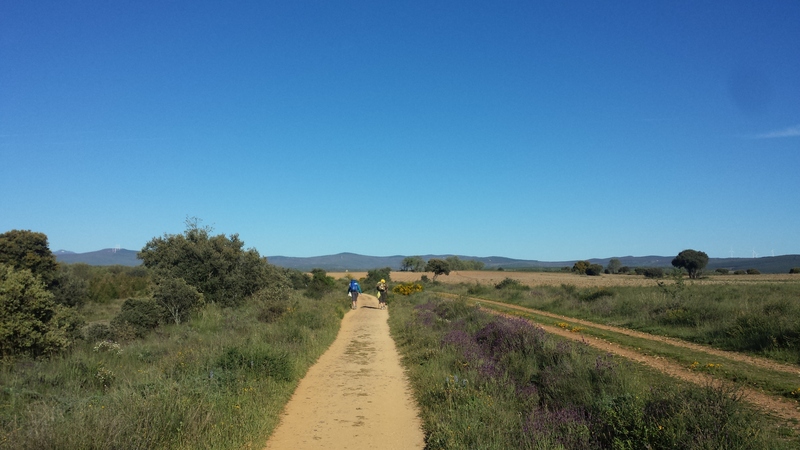 I walked alone from Astorga but I did notice a lot of groups leaving the town. It had been over 6 weeks since Denise Thiem, a pilgrim from the US, went missing. This had always been in the back of my mind and especially today I thought of her family and friends. It seemed as though pilgrims were taking extra care by doubling up just to ensure it doesn’t happen again. I decided to hang back from one group until I reached Santa Catalina. There was also a visible police presence which I had not seen before on my 5 times on the Camino. My one wish is that people don’t decide that the Camino is not for them based on this one event. I arrived into Santa Catalina looking forward to breakfast and ordered my usual. My leg was paining me again so I took some more paracetemol. I spent quite a bit of time here, watching the news, trying to understand it with my limited Spanish. 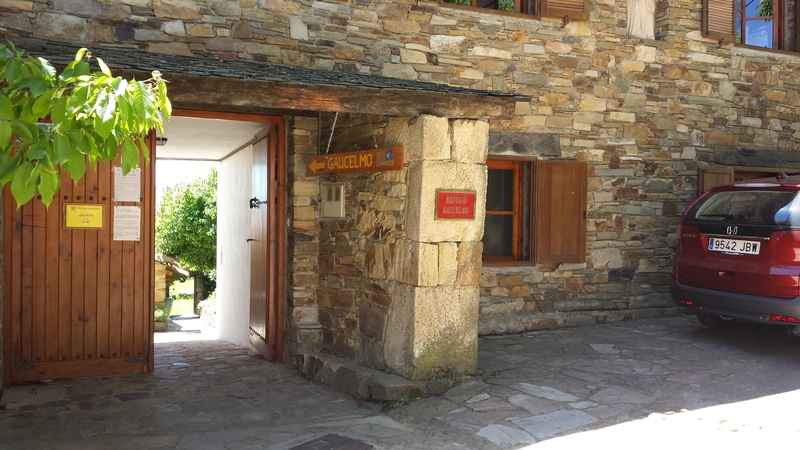 This albergue “El Caminante” is fab..and I hope to stay here in the future. In fact, there are plenty of options in Santa Catalina. 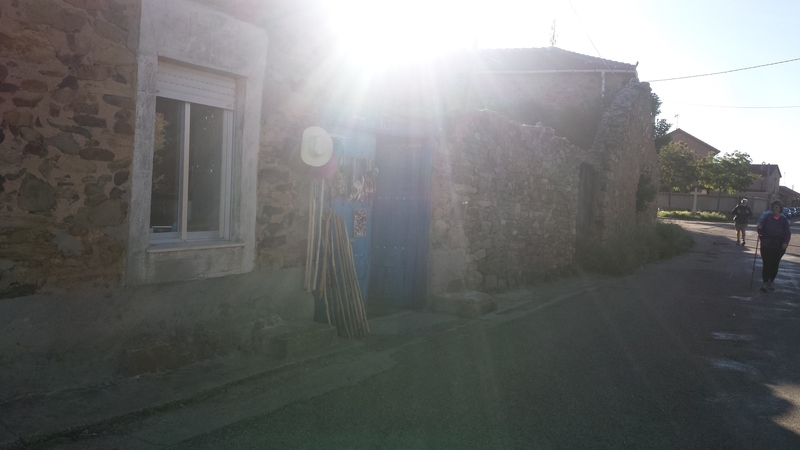 I move on and after an hour of gradual ascent, I reach the curious town of El Ganso. There are many towns and “celebrities” of the French Way, and the Cowboy boy here is one of them. I stop off here and soak in the randomness. I love it. There is an albergue here also. I stopped for a cerveza to cool off. I meet Des and Josephine who weren’t far behind me. That would be the last I would see of them unfortunately. The next 2 hours I walked along the side of a road, with the sun getting hotter. I was quite happy with my own company but I did stop and talk to some people that I had met in Villavante a few days earlier. I love this part of the Camino. The higher you climb, the more colours you see..plenty of greens, purples, yellows, reds. It was perfect. 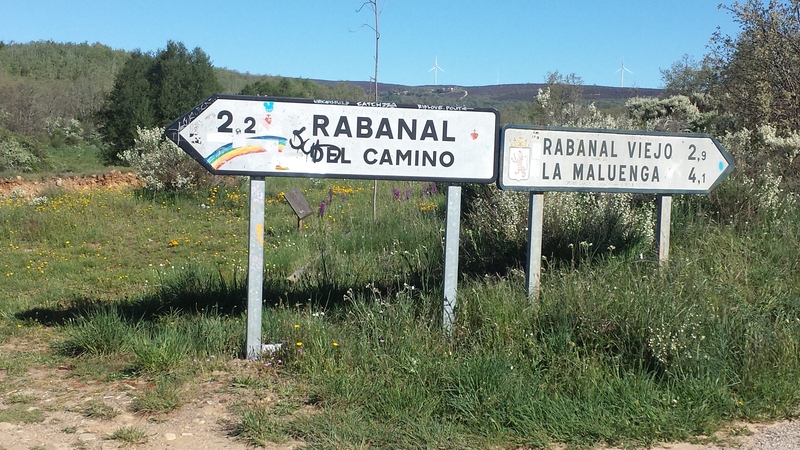 The final ascent into Rabanal del Camino is much greater and is pretty demanding. 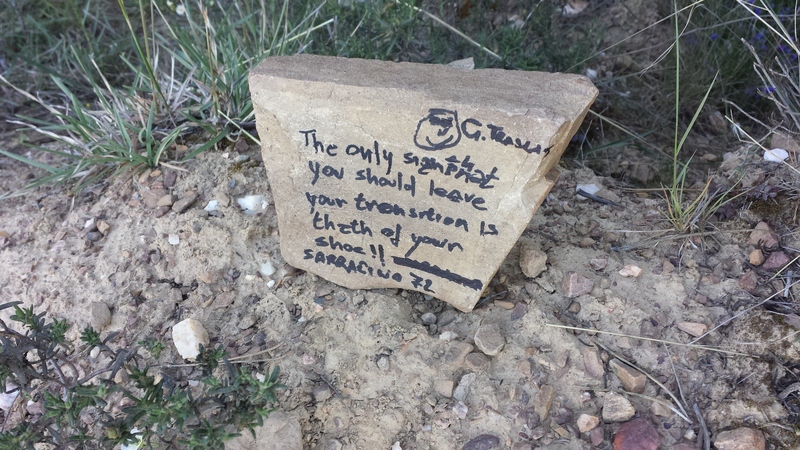 Hundreds of coloured crosses littered the side of the trail as I climbed up to the little town. A half an hour later I arrived in Rabanal sweating and racing for a cool cerveza! With great joy I see Andreas from Germany, whom I hadn’t seen since outside Mansilla. I was also met by Roy from Canada who was hoping to stay here. After that climb and that heat, I decided to stay put and chill out in the sun until I worked out which albergue to stay in! In 2012, I stayed in the fab “Albergue NS de Pilar” which is brilliant but I wanted to try somewhere else. Albergue Guacelmo was getting good feedback so I headed in that direction. It opened just as I placed my bag down. Happy days! Albergue Guacelmo is run by the CSJ in London and every two week or so, new volunteers come over to look after pilgrims. It is donotivo as well. It is well recommended to stay there however, there is a condition that you carry your backpack to be given a bunk. If not, you will need to look elsewhere. Later on that evening, I had a meal in the hotel across the road after Vespers in the local church. I would encourage you all to go to vespers there. What an experience. I went in 2012 and loved it. I had an early night afterwards and started to wonder how my final day would go. Would I see my buddies again? 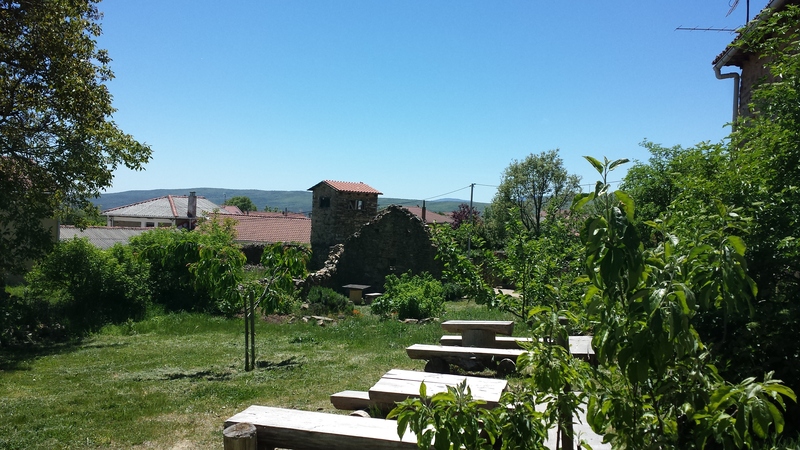 Or even still, would this be the last time on the Camino? I had no idea. The background picture that I have on my tablet is of my wife struggling to climb up a gully as we approached Rabanal, just before we reached the fences where all the crosses were. We also stayed at the Pilar albergue, as you did previously, and found it a fascinating place. Wonderful area! Yes..that climb up is a bit rough isnt it? Rabanal has such a chilled out vibe to it. I had hopes to make it to Foncebadon in the morning but I was glad to stay put. Pilar is a nice place too, the owner is first class!